If trying to find appropriate gifts for friends and family is always one of the more challenging times of the year, then have a quick chat with them some time to try to ascertain their thoughts on Google. If their opinions happen to be overwhelmingly negative, Microsoft can sort you out. 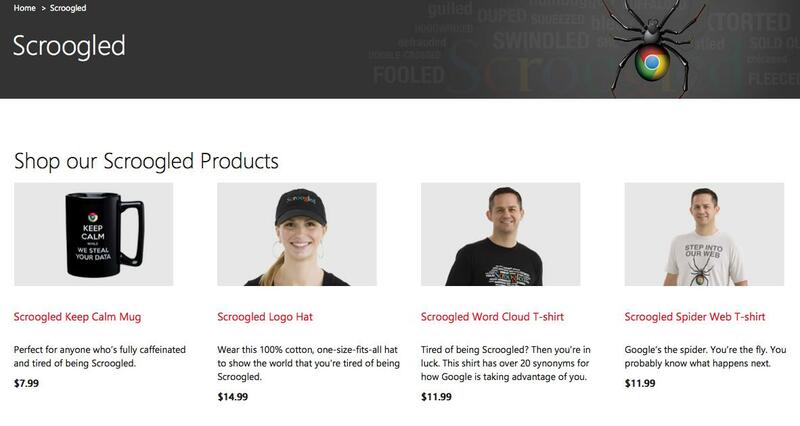 Microsoft launched its Scroogled campaign last year to bash Google’s practice of “selling their shopping search results to a high bidder.” One of the campaign’s aims was to draw more users to its Bing search engine. As for Google, DT’s very own Nick Mokey recently laid into the company for a variety of reasons, though we’re not sure he’d go so far as to pull on a Scroogled word-cloud T-shirt (he still uses Gmail, y’see). You can read about his issues with the Web giant here.